it is rather fab though! Sarah, yes, I totally am! 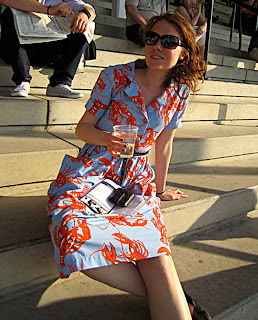 Yippee for sewing bloggers! So what are you going to make out of it? It needs to be showcased in all its glory? Now I have serious fabric-envy!! What will you make? What a great friend! aww, thanks for the shout out Marie....lol...Can't wait to see what you make out of it. I suspect it will be a dress. You always do really nice dresses. Don't apologise Stevie! If it wasn't for your post,I wouldn't have left a comment, Dibs wouldn't have seen it and I would still be sans my beloved fabric! What are you making with yours? 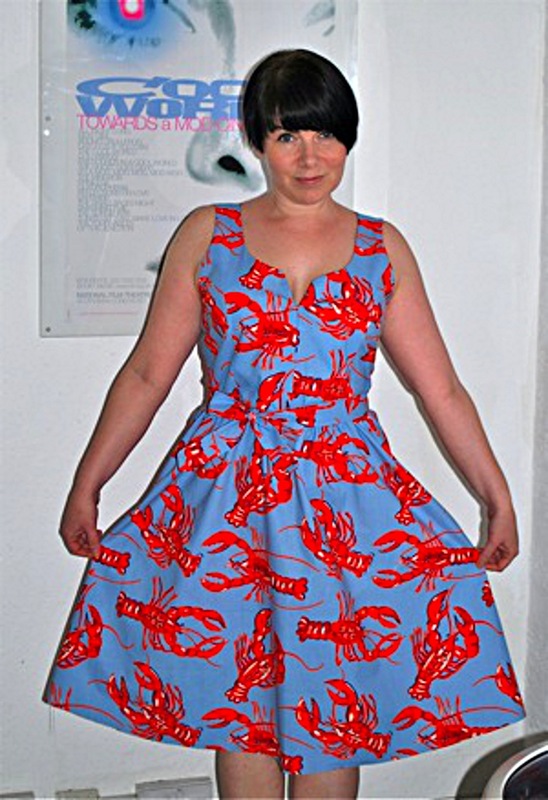 I greedily asked Dibs for *ahem* 5 metres if this beauty, so I will most probably go for a 50s style dress and maybe a skirt too....lobster overload or what! Haha! Yay! I'm glad you finally got your hands on that fabric. It is such a great fabric design. I find it really interesting to see how much the Horrockses show has influences the online sewing community! But if I have a piece of advice for this fabric it would be to avoid washing your garment once it's done. 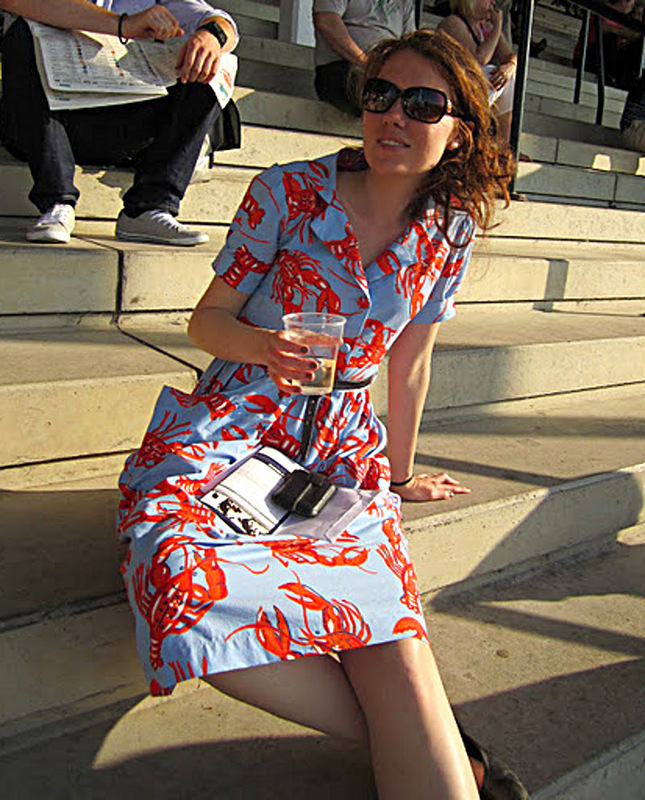 I've machine-washed my Lobster dress and it probably wasn't the best idea... I look forward to seeing what you'll make with this! Happy sewing! Ooh, thanks for the tip Adrienne! I live in Canada, cannot find this fabric on eBay. If you have any of it left since 2013, I would be happy to buy it... Thank you in advance!